WASHINGTON — The number of migrants traveling in families who were apprehended at the southwest border surged past 20,000 last month, according to new data released on Friday by the Customs and Border Protection agency. The increase was reported hours after the Trump administration issued a proclamation on new measures to limit the number of people applying for asylum in the United States. The 23,121 people traveling in families who either surrendered or were arrested by Border Patrol agents represent a record over a one-month period. In September, nearly 16,658 people in families were apprehended at the border, prompting the Trump administration to label the increase in migrants an unprecedented crisis and national security threat. Over all, the data shows that Border Patrol agents apprehended 50,975 people last month, the beginning of the 2019 fiscal year. Customs and Border Protection quietly released the new data on its website on Friday evening without comment. 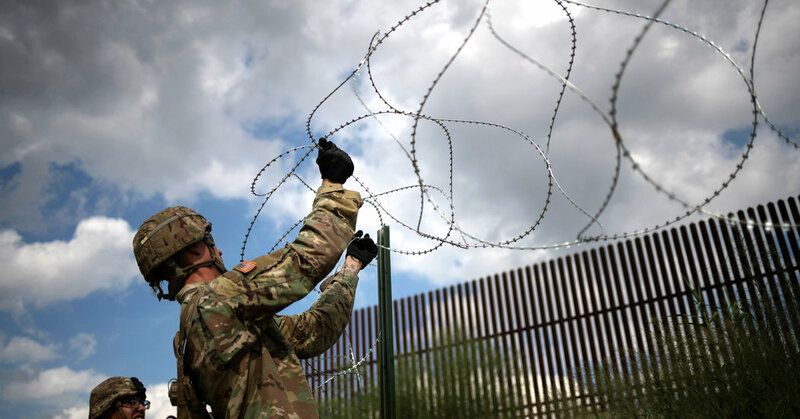 The new data also follows Mr. Trump’s ordered deployment of 5,600 active-duty military troops to the southwest border. They are there to help stop what had been estimated as 6,000 migrants heading to the United States after fleeing the grinding poverty and violence of El Salvador, Guatemala and Honduras. Many of the migrants, currently traveling through Mexico, have said they intend to seek asylum in the United States. The number of people in the caravan has declined in recent days, and it is unclear how many will reach the border. The group is still weeks away. The increase in migrants is certain to put more pressure on Kirstjen Nielsen, the homeland security secretary whose job security is seen as increasingly vulnerable. Mr. Trump has repeatedly complained that Ms. Nielsen has failed to stem the flow of illegal migration that rose after the administration’s first year. It was unknown if Mr. Trump, who was traveling to Paris, had been briefed on the new apprehension numbers. The president has made clear that he is frustrated by the rising border numbers. In a proclamation issued on Friday, the Trump administration said it would deny asylum to all migrants who tried to enter the United States at the southwest border, except through official American ports of entry. Within hours, the American Civil Liberties Union had filed a lawsuit to stop the changes.